-----------------Aengus Finucane, Irish Catholic Priest. 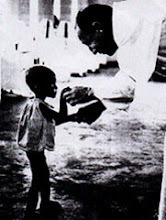 Image: Peter Williams, Owerri Feeding Center, 1968. 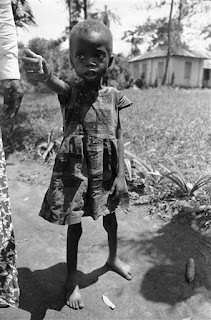 Hakan Gottberger was a Swedish photographer who volunteered to work for the International Red Cross during the Biafran War helping distribute relief materials as they arrived. 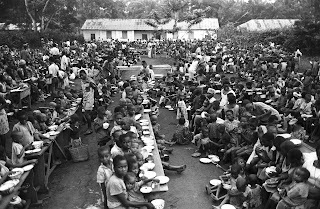 In 2007, Gottberger was in an exhibition where he showed his Biafran project photographs in Biafra in 1968-69 during his days of volunteering for the Red Cross in distributing food along the routes designated by the handlers from Item to Uli. Thanks to Ed Keazor, Ebele Obumselu and Hakan Gottberger who made this presentation possible. Presentation was conducted on Keazor's Facebook page between August and September 2011. 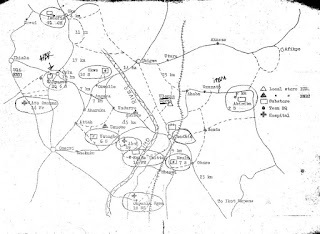 All images in this article were taken by Gottberger and permission must be sought for any use and reproduction. 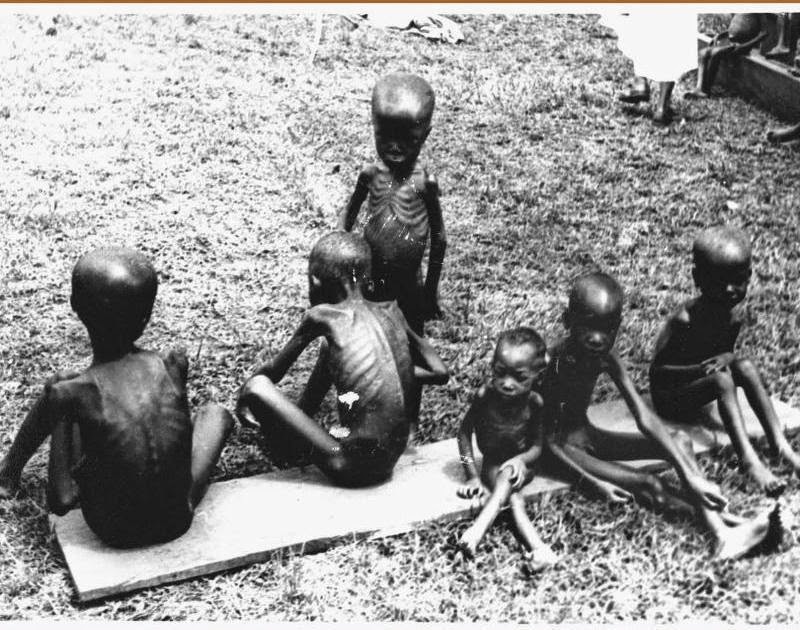 The Igbo generation today, our generation, must ensure that this genocide never happens again. 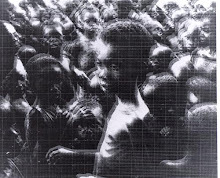 Nigeria murdered 3.1 million Igbo children, women and men people between 29 May 1966 and 12 January 1970. 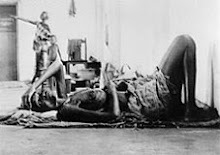 This figure represents one-quarter of the Igbo nation's population at the time, The Igbo genocide is the foundational genocide of post-(European)conquest Africa and the most devastating genocide of 20th century Africa. 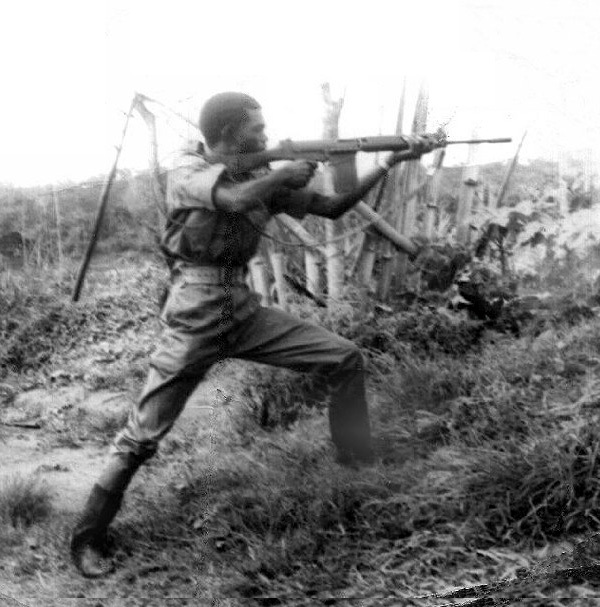 All those involved in the murder of the Igbo will be brought to trial. They can be sure of that. 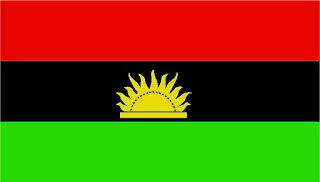 No one murders Igbo people and gets away with it. 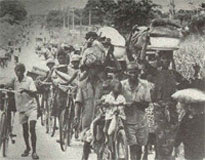 International law on the crime of genocide has no statute of limitation. This we know. 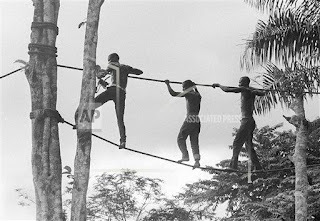 Biafra military trainees climb ropes in Owerri, Biafra, August 1, 1968. Soldiers receive uniforms and arms when they are assigned to military units.